Last Friday, my 7-year old daughter visited the Baltimore Museum of Industry. She learned about Henry Ford’s Model T, how automation and specialization on an assembly line dramatically improved automobile manufacturing efficiency, and how mass production paved the road (pun intended) to affordability. 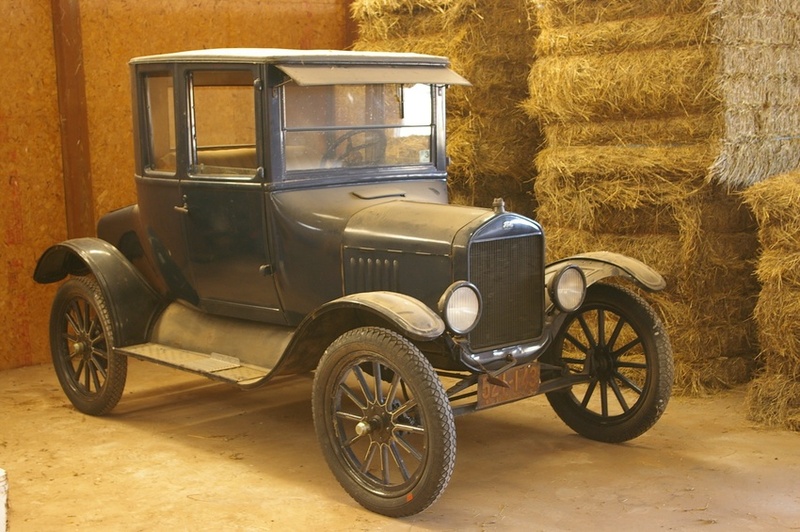 These productivity advancements allowed Ford to construct a Model T in less than 3 hours, and lowered the price of the car from $850 to $260. As my work involves assisting nonprofits with charitable solicitation registration and renewal filings, I couldn’t help but think that the same principles are at work when a charity outsources these tasks to a professional service company or law firm specializing in services to nonprofits. Outsourcing these tasks can lead to increased efficiencies and savings for nonprofits by allowing them to focus more of their resources on mission-critical and program-related priorities, rather than on cumbersome administrative tasks that can be handled more efficiently at a lower cost by professionals specializing in these services. By outsourcing this task, a nonprofit operating in all states can save approximately 150 hours of work per year (filings are required in up to 40 states), eliminate associated incidental costs (printing, mailing, check writing, etc. ), and avoid the opportunity cost of what an in-house person could have been doing instead of focusing on charitable registration filings. Frequently, I am asked by Executive Directors, CFOs, Development Directors and other representatives of nonprofits why they should consider outsourcing these filings. This question is often asked by those who have overlooked state-mandated charitable registration and renewal requirements when fundraising and soliciting charitable donations. They mention that they need to justify the expense and provide guidance to their direct reports and sometimes to the Board of Directors, especially for budgeting purposes. In an effort to assist nonprofit leaders in making a decision on how to handle charitable registrations and renewals, below are some of the pros and cons a charity should consider when deciding whether to file themselves, or to hire a service company or law firm to handle these filings. Keep the focus on your mission and programs. Eliminates the need for your nonprofit to keep up with changes in state requirements. Peace of mind in knowing that professionals are on top of this. Avoid missed or late filings and associated penalties. Access to online document and license retention systems. associated with printing, mailing, check writing, etc. Reduced training and oversight of staff. Save money – why pay someone else to do this? If you are confident you can handle initial filings, keep up with annual renewals and changing state requirements and have the manpower, you can definitely save some money by doing it yourself. You’re concerned about sending sensitive information required for filings to a third party. and eliminates the need to find out third party’s procedures for handling this type of info. Utilize staff not fully engaged in other tasks. You have an in-house department that handles all compliance filings. Larger nonprofits that have dedicated staff to handle compliance can consolidate all compliance tasks under one umbrella. In those instances where a nonprofit decides to handle charitable registrations and renewals in-house, it is critical to ensure that those handling this responsibility have the right, up-to-date resources to ensure that the proper forms are used and that each state’s requirements are fully met. Failing to file when it is required or submitting incorrect or incomplete registrations can result in penalties and bad publicity (think Trump Foundation) that could negatively affect a charity’s fundraising efforts. While outsourcing may not be the right choice for every nonprofit, for many it can be more efficient and cost effective than handling these functions in-house. Having experienced professionals handle your charitable registrations and renewals can, like the specialization on the Model T assembly line, result in greater efficiency and reduced costs.